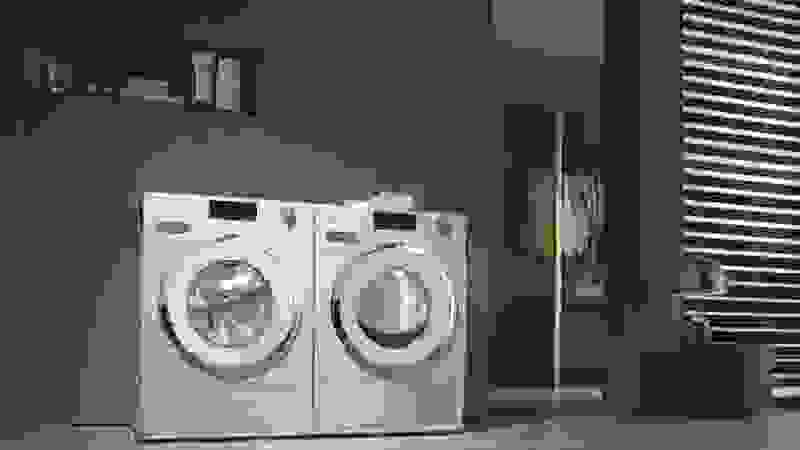 Does its two-phase cleaning process take better care of your laundry? Miele, the German company known for its well-designed luxury appliances, has a washing machine that maintains your clothes while it cleans them. Already available in Europe, the Miele W1 with TwinDos lets you add cartridges of their proprietary liquid laundry detergent and oxygen bleach once a month, so you can avoid spilling and measuring every time you do laundry. 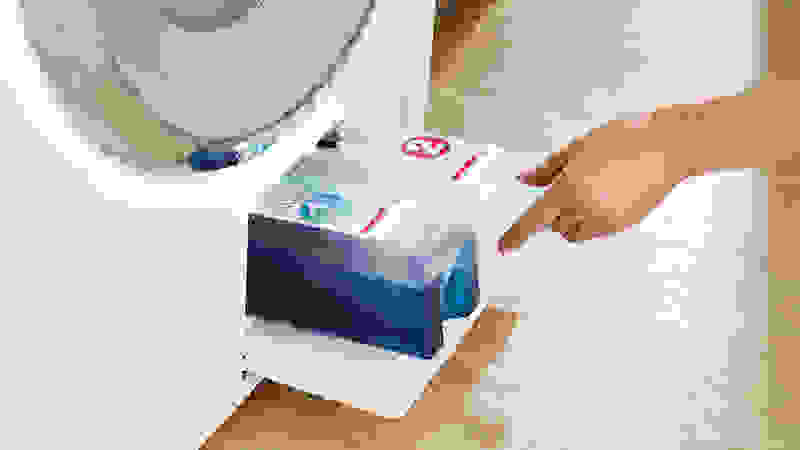 Miele sells cartridges pre-filled with their own laundry detergent and bleach. You'll be able to pop new ones into a dispenser once a month. if you're intrigued by the idea of adding detergent once a month, but you're perfectly happy using Tide and Clorox, this isn't the machine for you. In that case, you might prefer to buy a GE or Whirlpool washer with a detergent tank. But, maybe you're ready to leave the pedestrian world of "laundry" entirely. Invest in the W1—and Miele's own line of proprietary detergents and bleach—and you may just be ready to enter the realm of "wardrobe maintenance." So, aren't you curious about what exactly wardrobe maintenance is? Here's how the W1 works. A two-part "automatic dosing" system figures out exactly how much detergent and bleach each stage of cleaning requires, and dispenses the right amounts at the right time. UltraPhase 1 (detergent) goes to work on dirt, oil, grease, protein, and starchy stains. UltraPhase 2 (oxygen bleach) attacks coffee, tea, fruit, and red wine stains. Miele claims this phased system keeps whites crisp and colors brighter. The company also claims that the automatic dispensing system uses up to 30% less detergent than dosing it manually, while still giving you the same level of clean. That could be an advantage, because using too much detergent actually makes your clothes dirtier. Another choice the washer offers is CapDos, customized laundry pods that clean special care fabrics. Miele offers five different types of pods for sportswear, outdoors wear, down, wool, and silk fibers. That might actually save you trips to the dry cleaners. Miele's specialized laundry pods can save you a trip to the dry cleaners. The W1 and its companion model, the T1 ventless dryer, are coming out in the spring of 2018, and we look forward to testing them in our laundry labs. This washer and dryer pair has the potential to up your laundry game, if that's your jam. And once you've pulled your impeccably maintained clothes out of these laundry machines, Miele undoubtedly hopes that you'll steam iron them with the amazing Miele FashionMaster, an incomparable $2000 ironing board.